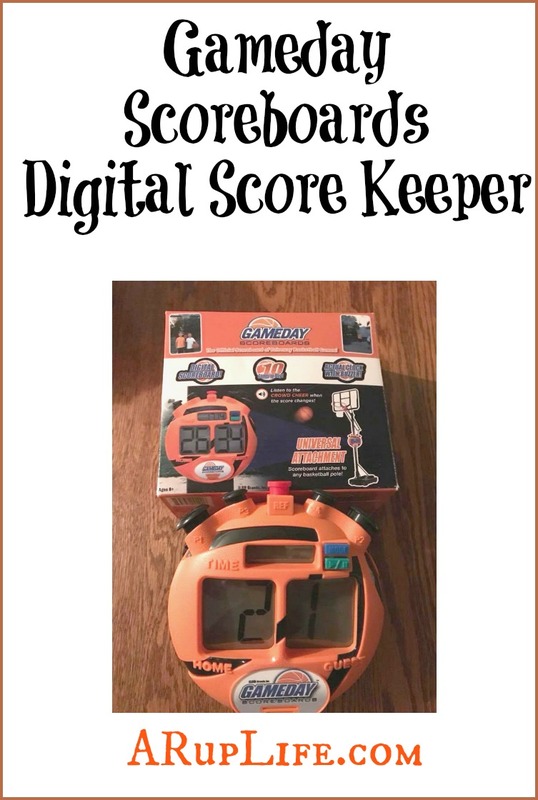 A RUP LIFE: Holiday Gift Guide: Gameday Scoreboards! Holiday Gift Guide: Gameday Scoreboards! 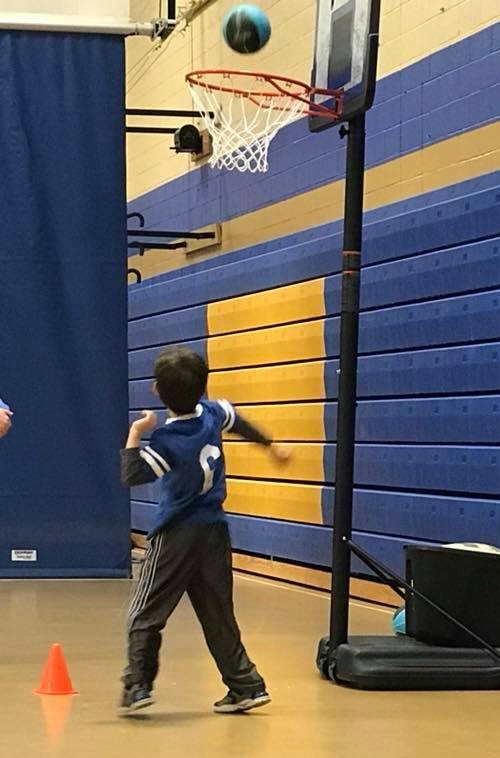 My seven year old just started playing basketball with our local homeschooling group this fall. He was so excited to get his team jersey and for his birthday his own basketball. 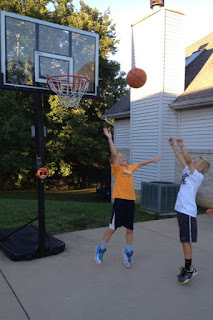 At this age they take a lot of time running drills with dribbling and handling the ball. Then they take the time to practice shooting. 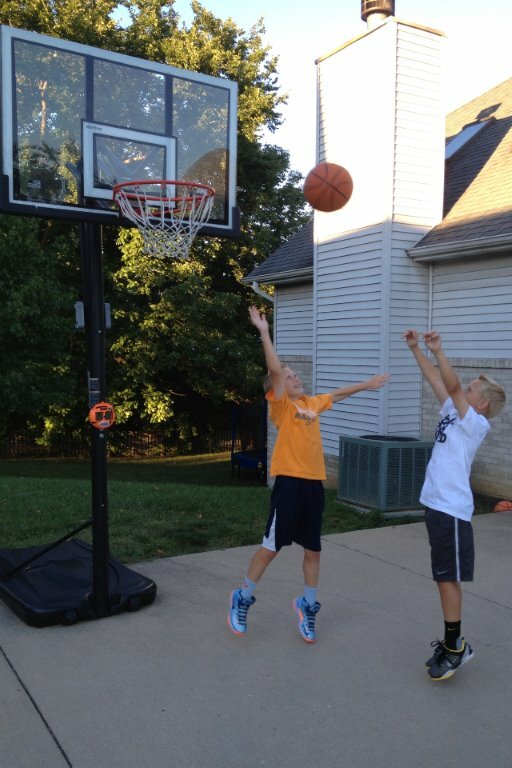 The big kids prefer to gather with some friends outside playing a pick up game. Most of the kids in the neighborhood have nets outside. (Ours got hit by a delivery truck but maybe Santa will bring a new one!) Our church also has a net in the parking lot and many nights we stayed long after service to let the kids hang out and play. I love seeing active kids. It is wonderful to see them honing their skills while having fun. Gameday Scoreboards is a digital score keeper that attaches to the basketball pole. It is an easy way to keep track of scoring. 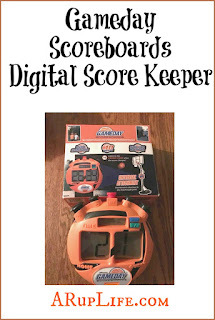 Not only does it keep score but it also has built in games like PIG and HORSE. Making it a fun addition to any driveway game. This is easy to set up with just velcro to attach to a driveway basketball pole. This makes it easy to store inside for inclement weather. Visit GamedayScoreboards.com for additional information! 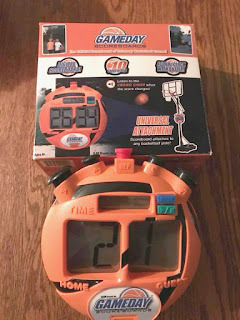 One lucky reader will win a Gameday Scoreboards! We love the new Orleans pelicans! Our favorite basketball team is the Lakers. Right now, ours is the Golden State Warriors. My son likes the 76ers.